Dr. Abhaya Balasuriya is currently working as Senior Lecturer at Faculty of Agriculture, Rajarata University of Sri Lanka, Puliyankulama, Anuradhapura. He has completed his Ph.D. in Plant Pathology from University of Peradeniya, Sri Lanka. 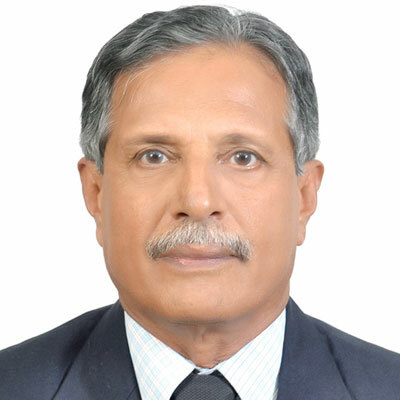 He is also serving as editor and reviewer for number of journals. Previously he was appointed as Demonstrator at University of Peradeniya, Peradeniya, Assistant Pest & Quality Controller and Assistant Production Manager - M/s Green Farms Ltd., Marawi-la, Sri Lanka, Agronomist and Senior Agronomist at M/s. Pelwatte Sugar Company Ltd., Buttala, Sri Lanka, Research Officer/Plant Pathology, Officer-In-Charge/ Plant Pathologist and Senior Research Officer/ Head, Plant Pathology Division at Tea Research Institute of Sri Lanka, Talawakelle, Sri Lanka, Volunteer-ycology Group at Landcare Research, Auckland, New Zealand, Hort culture Tutor at Royal Business College, Hereford Street, Christchurch, New Zealand, and Visiting lecturer at University of Ruhuna, Mapalana. He is life member of Sri Lanka Association for the Advancement of Science, Alumni Association, Faculty of Agriculture, University of Peradeniya, Sri Lanka, British Society of Plant Pathology (BSPP), Senior Scientists’ Forum (SSF) of the National Science and Technology Commission (NASTEC), Sri Lanka, member of Pesticides Technical and Advisory Committee (PeTAC) of the Department of Agriculture, Sri Lanka, and member of Sri Lanka Association for Mycology and Plant Pathology (SLAMPP). He supervised 11 students’ projects. He has published 19 research articles in journals, 5 book chapters, 23 abstracts and 19 technical communications contributed as author/co-author.